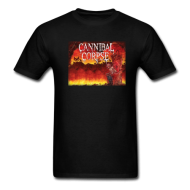 We are an online store offering shirts of various rock genres. Looking for punk rock shirt? Emo? Ska? Or Reggae shirt? No worries, we have huge collection of t-shirts from mainstream to underground bands. We accept orders worldwide.